Corner of Cooper Foster & Oberlin Ave. Authentic Italian cuisine at it's best! 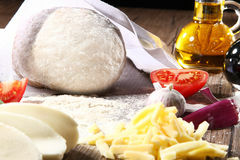 All doughs, sauces, salad dressings and desserts are made on premises. We cater any party with Italian or American choices. Call ahead and we will have your order ready for you. Copyright 2015 Lenoci's Spaghetti House. All rights reserved.